NY: Grove Press, 1966. First edition, first prnt. Inscribed by John Montgomery on the verso of the half-title page. "For R Andrews, GMF, Bayview, So. of Mkt. I am named on p.23. It was Kerouac's idea that my descent is English yet none is such. My name is considered Scots now but was brought to England as French & known origin is in Denmark but is probably Celtic. 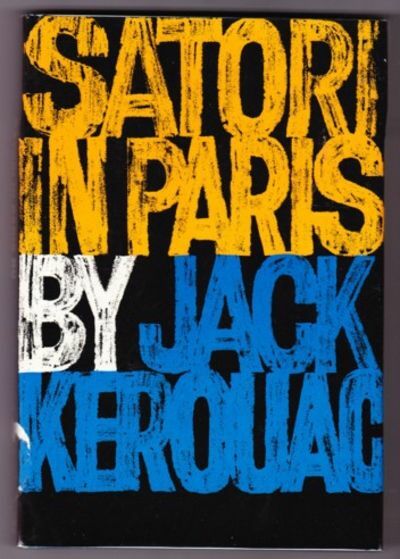 Ferlinghetti was told at Gallimard Press to help Kerouac if seen as he was falling down drunk. He liked J. Walker Red Label. John Montgomery." Touch of shelfwear at board corners and beginning page toning; dustjacket with price-clip and abrasion on the spine. Tight copy in Very Good condition in a Very Good dustjacket with an archival cover. John Montgomery was a friend of Kerouac and the basis for the character Henry Morley in The Dharma Bums.. Inscribed by Subject. First Edition. Hardcovers. 8vo - over 7¾" - 9¾" tall. Association Copy.